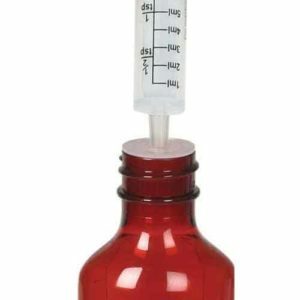 Syringes or Dosing Cups: What's Best For Measuring Medication? Syringes or Dosing Cups: What's Best For Measuring Medication? A recent study involving three pediatric clinics tried to determine the best dosing tool for giving liquid medication to children. Each participating adult received a medication cup and a syringe. They were then asked to measure out liquid medications in a variety of doses. The accuracy results were surprising! Although spoons were not included in this study, they are commonly used in the home when measuring liquid medication. While spoons are great for eating soup and cereal; they are not accurate for measuring liquid medications. Syringes are the best and most accurate tool for measuring liquid medication. Ask your pharmacist for a syringe with every prescription of liquid medication filled at your pharmacy. Review the correct measurement with the pharmacist before leaving the pharmacy so that you will know exactly how much medication to give to your child. The Missouri Poison Center is available 24-7 to help answer your questions about how to give medication to your child. Not call is too big or too small…just call 1-800-222-1222..